1971 The first act of Harvey Fierstein’s Torch Song Trilogy is set during this year at Village gay bar The International Stud (733 Greenwich St. at Perry St.). 1972 The Gay Switchboard is launched at the newly opened Liberation House (247 11th St., between 4th St. and Waverly Pl.) and begins logging 400 calls a week. It is still operational today and is known as the Gay & Lesbian Switchboard of New York . 1980 Former city transit cop Ronald Crumpley goes on a shooting rampage with an Uzi in the Village, killing two and wounding six in front of popular Ramrod leather bar. (394 West St., between 10th and Christopher Sts.). “I want to kill them all,” he explains afterward. “They’re no good. They ruin everything.” He is found not guilty of murder by reason of insanity and institutionalized where he remains today. 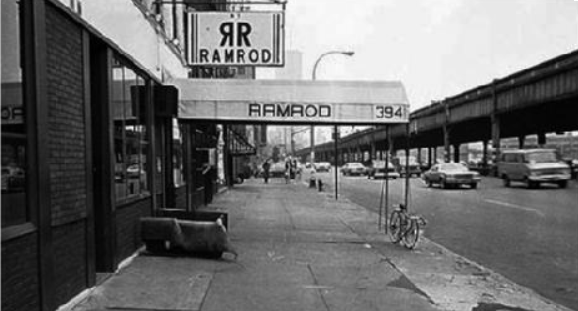 The Ramrod never recovers from the incident and closes shortly afterwards. 1983 The Lesbian and Gay Community Services Center is founded, and purchases the building (208 W. 13th St., between Seventh and Greenwich Aves.) that’s still its home (now as the Lesbian, Gay, Bisexual and Transgender Community Center, or as most just know it, The Center). 1985 The Harvey Milk School opens with 20 gay teenage students at the Washington Square United Methodist Church (135 W. 4th St., between MacDougal St. and Sixth Ave.). 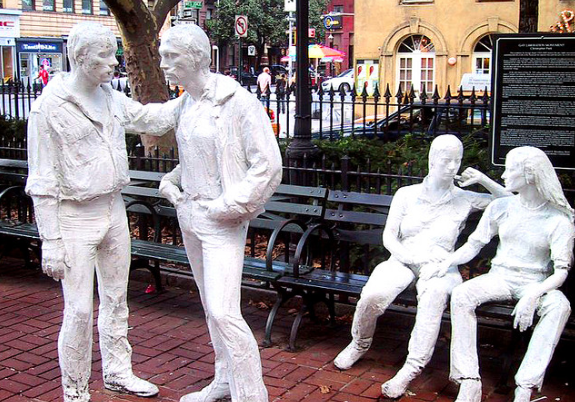 1992 George Segal’s controversial statue “Gay Liberation” is installed in Christopher Street Park across from the Stonewall Inn.